This month was the last ever Sugar & Vice subscription box for their Afternoon Tea collection. I am both super sad that it is the last one, but also totally understanding because it must be such a huge undertaking for just 2 people to do! As ever, the box is arrives is stunning. The teal print is a lovely touch. And upon opening, not only is there Sugar & Vice branded rock, but a tea and a candy necklace too. I love those little nuances that make their customer care so fantastic. As ever the bags containing the jewellery are black, so what is inside remains a surprise till each is opened. 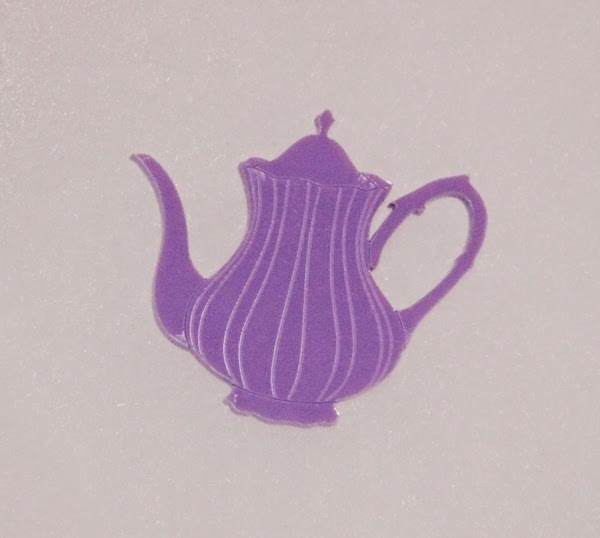 The first thing I opened was this adorable purple brooch! It will be getting added to my beloved denim jacket for sure, so cute. It is not on their website currently, so I think it is the subscriber only goodie. Available in vanilla, chocolate and pink wafer, this is so cute. A mix of wood and acrylic the detail is stunning. Available in blueberry and cherry, I got the blueberry option. Again, a mix of wood and acrylic that just works so so well. That I got this necklace in lilac makes me super happy, purple is my favourite! It also comes in pink, yellow and peach. This is, quite simply, adorable! Certainly a favourite from the new collection. 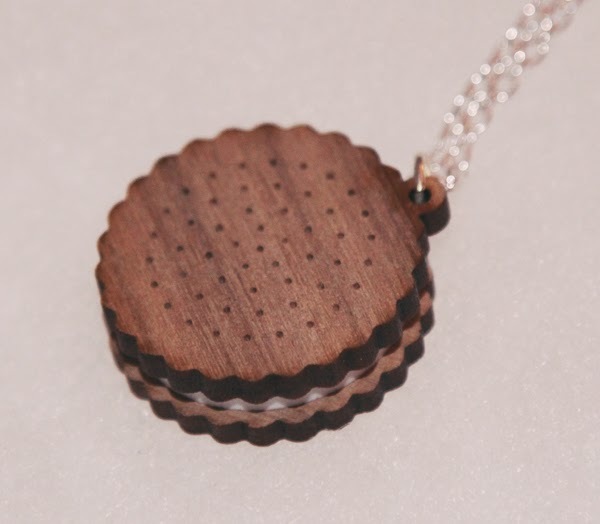 Now this is the perfect necklace for any tea fiend! 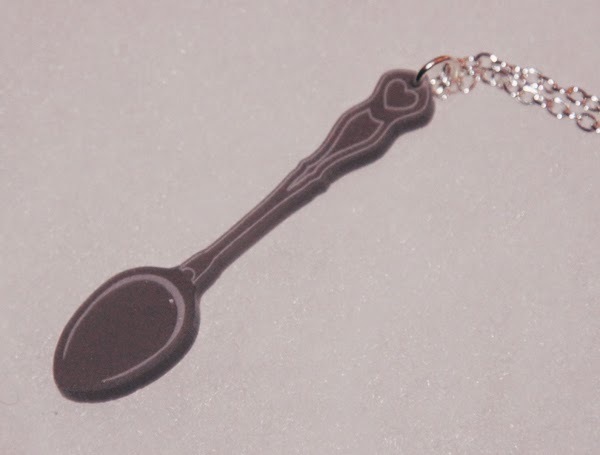 It's a really cute design, the heart detail in the top of the handle is a particularly nice touch. And now for some other favourites from the collection! 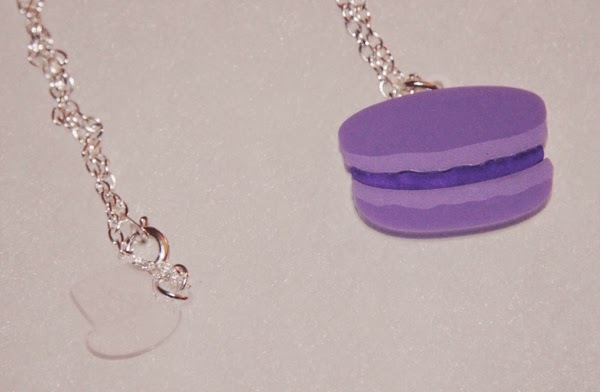 The pastel colours are so perfect for Spring, perfect to wear with your macaron necklace. 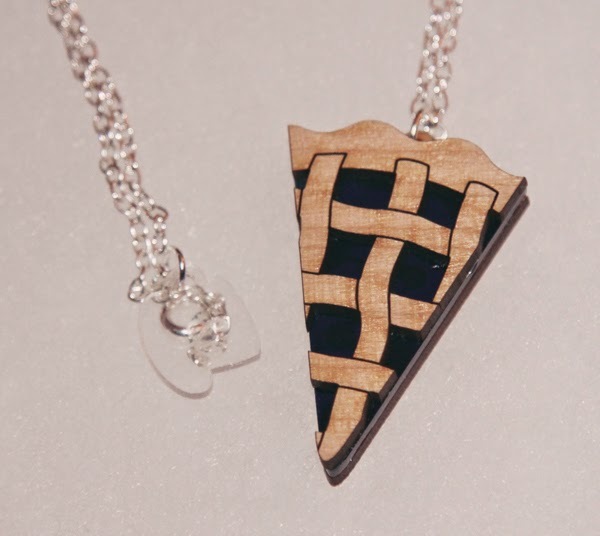 Oh my, battenburg is a favourite goodie of mine, and this necklace is just perfect. For me, this is the standout piece from the collection and my favourite. The bunting has roses etched into it and the colour combination is gorgeous. I love it! 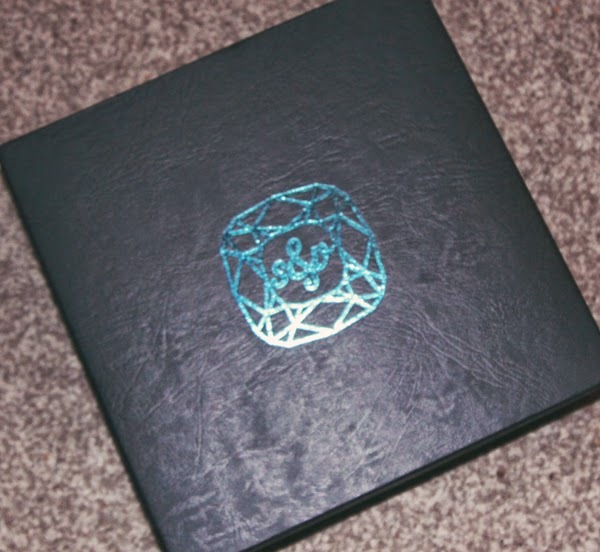 While I am sad this is the last subscription box, I have found while I've been subscribed I didn't buy individual pieces so often from Sugar & Vice, so I'm looking forward to picking out favourites of the new collections to come instead!